Had computer issues this evening so I didn't think I'd post on time. Thanks! I had a couple more photos with some more of the minis, but that was our favourite. Today is a family shot. Daring is photobombing the twins. That Abbey pic is so cute!!! I love the outdoor picture of the Charmings. Scarlet the mini Abbeys in their ice cream van totally cracked me up, very cute. Galaxy that is a very pretty pic of your Frankie. The Bee CAM looks great with black hair. Here is my Week 2 photo. My model this week is Gail, my Hujoo Sara. I think the Bee girl is one of my fave CAMs. She's so very sweet, and you've made her look rather mod here! I really do love those eyebrows. Wow. She really is cute, though, and that wig is growing on me. I thought it was maybe too severe, but it definitely works with the way you've done her face! Bee Cam is beautiful - I love how her hair is flaring out. Gail looks almost pensive, like she's been thinking hard about something that's puzzling her a bit. I did a bit of a stash-sort today (not sweltering hot so I felt like a spot of tidying), so today's photo is inspired by that. SaelaVe, Gail is lovely. I love her eyes! 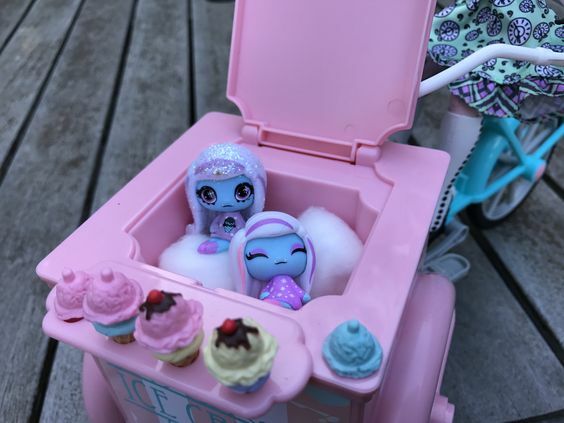 Scarlett, that pic of the mini Abbeys in the ice-cream cart is THE BEST! So cute! And Maddie and her knitting look adorable. 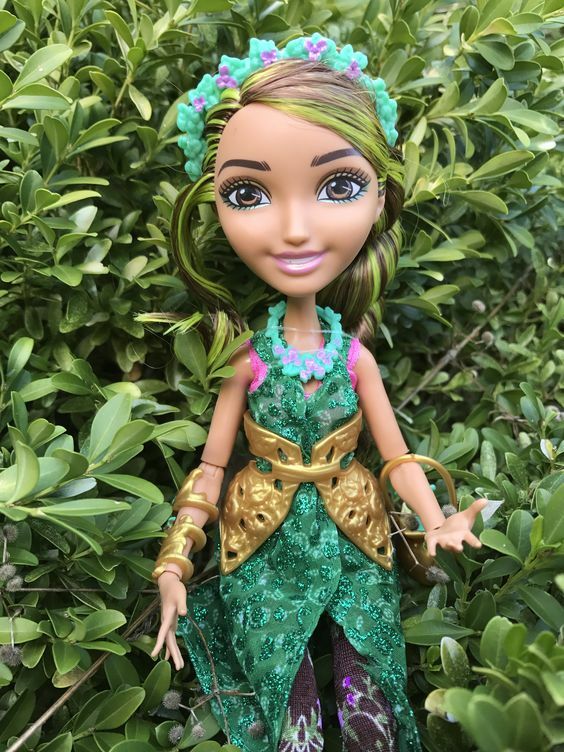 Galaxy, your Bee Girl looks so fashionable and stylish with her hair like that, it looks like a shampoo ad! 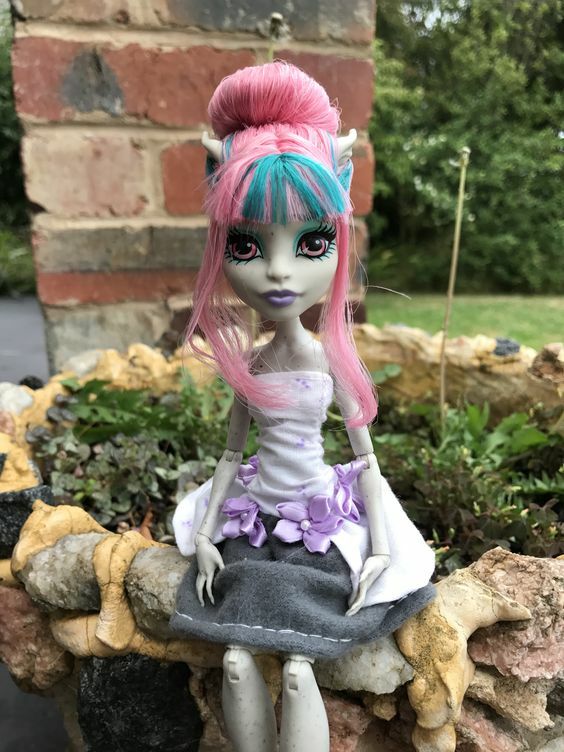 This week, I bring you Whisp, because our dolls should also have dolls to admire! 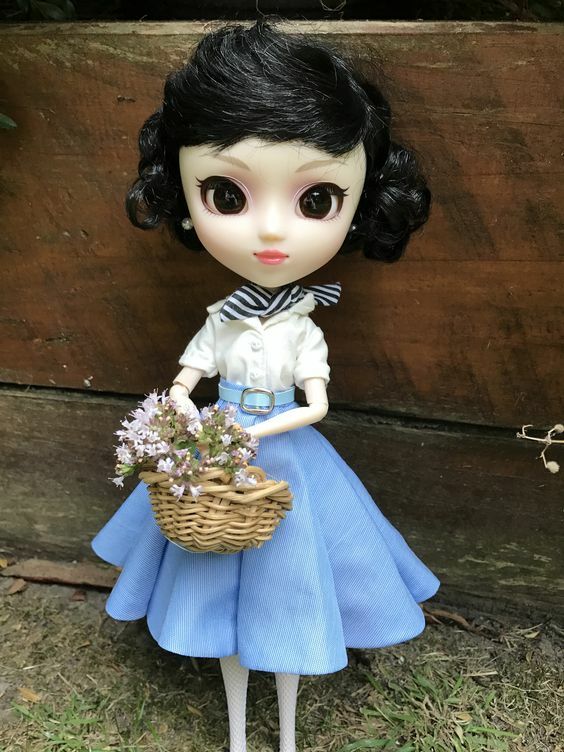 Today's photo - I finally unboxed Pullip Roman Holiday - her name is Kit. dftw, Whisp looks lovely in Catrine's Gloom & Bloom outfit . Scarlet, fabulous pics! 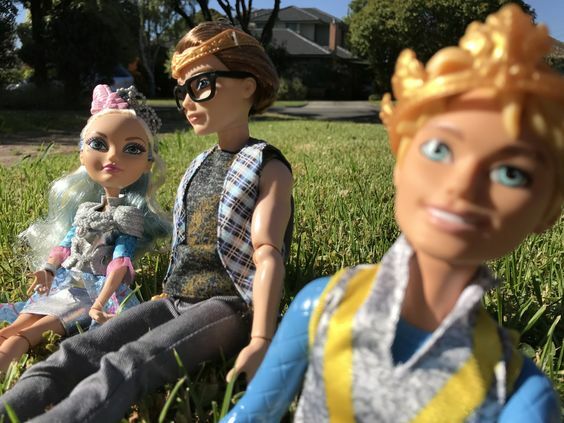 Congrats on your new dolls and your dedication to doing one pic a day! My pic will most likely be rolling in next Sunday, as I am away from my camera this week. I know I'm late to the party but may I join? I'd love to post pics of my custom Paper Dress Kim Chi Barbie once she is finished. 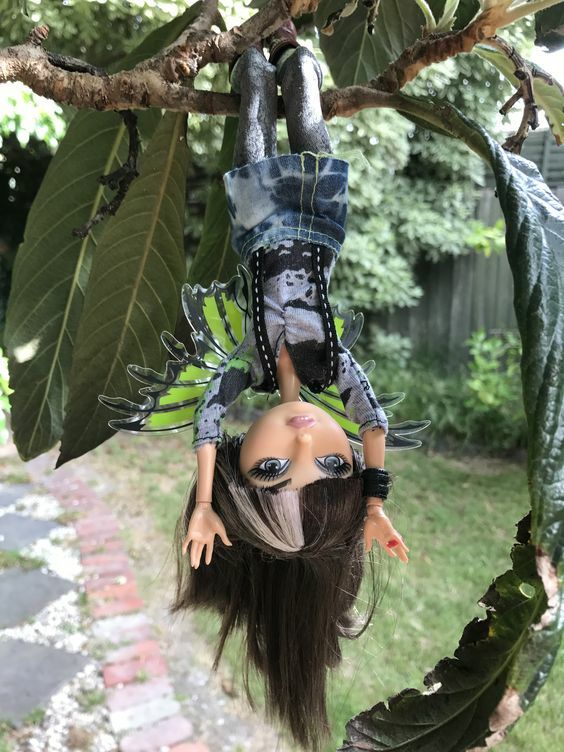 Scarlett, I love your EAH girls garden pics, I didn't want Nina until now! And Kit is gorgeous, what a sweet face, and that basket with flowers is the best. Captain Jigglypuff (I love your username! ), welcome aboard! The more pics the better. Captain J - please join in! There's a few people doing once a week pics, and the more the merrier! Frankie looks great in the Ghostbusters outfit, look forward to seeing the story unfold. ~LOL with Scarlet~ Your caption cracked me up. 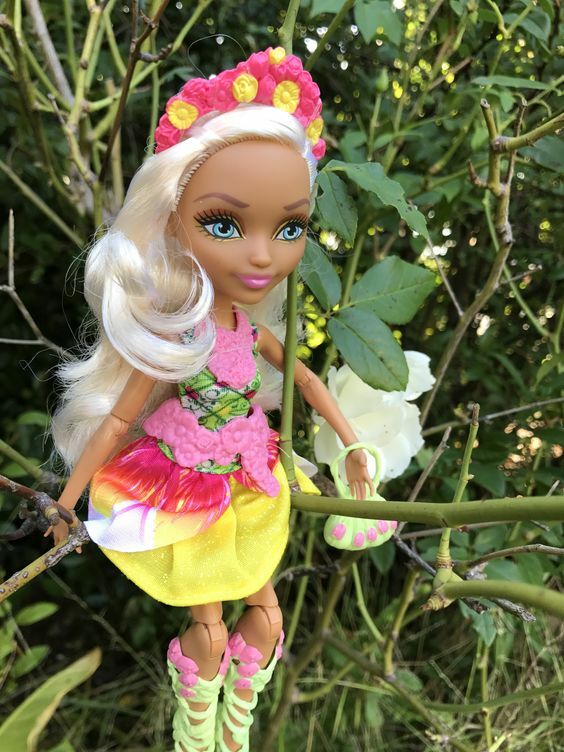 I love Rosabella, I think she is one of the prettiest EAH dolls. I have one Sig. in stock clothing, one that will become "Belle" (also Sig. ), and Birthday Ball. 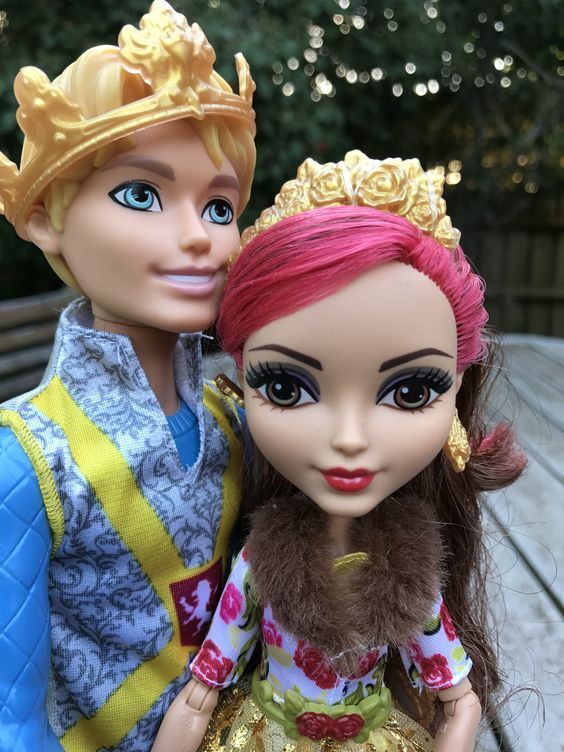 I wish Epic Winter Rosabella had not been put in the two pack with unarticulated Daring. If he were decent I would get the pack for her, but as it stands I will only pick it up if goes dirt cheap. Maybe I will luck out and be able to get EW Rosabella in trade or something at some point. CJ your Ghostbuster Frankie is lovely, the slimmer is soooooo cute! 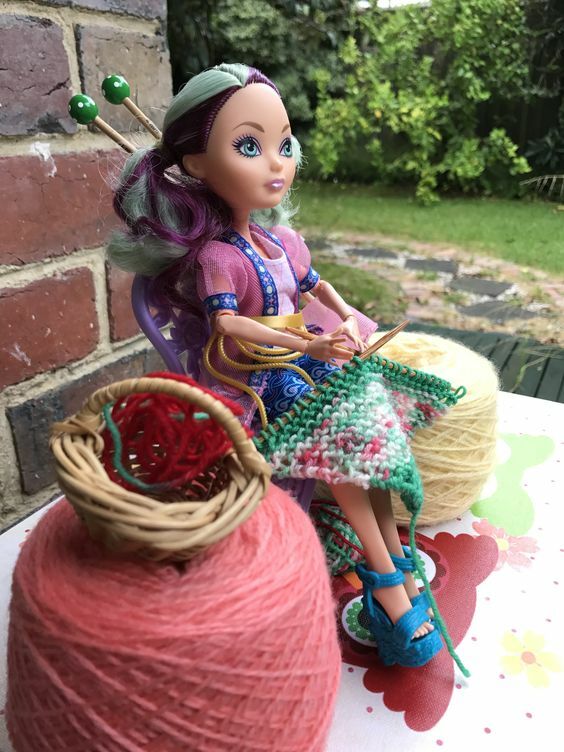 Rosabella is from my favourite fairy-tale, so I love her just a little bit more than most of the other dolls. 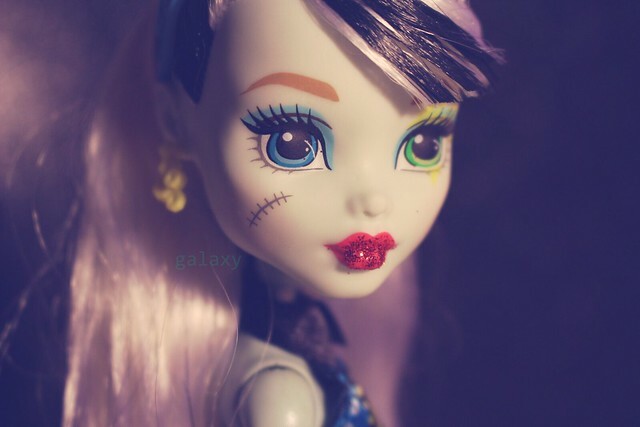 Today's pic - I'm trying for a different doll each day at the moment as I've been neglecting some of my older dolls.